When I took up the guitar in the mid-60’s, the first thing I wanted to do was play Rock & Roll, and the next was to learn how to play the folk stuff that was popular in those days, when groups like Peter, Paul and Mary had chart hits and Bob Dylan was an underground hero. Then I got interested in what the other kids were doing in local coffeehouses: blues, bluegrass, jug band music, and especially the ragtime piano of a guy called Buck “the Nightingale” Evans. 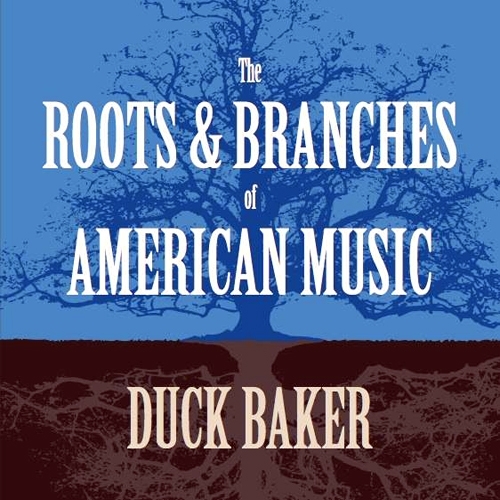 Buck started my love affair with early jazz and, even more importantly, got me to understand that American music was essentially one kind of music, that there wasn’t some big wall that separated what Doc Watson did from Skip James or from Duke Ellington, for that matter. Over the years I’ve never gotten tired of exploring how African sounds met and mingled with the music of England, Scotland and Ireland and gave birth to blues, gospel, jazz, old-time country, and all the rest. That the African feeling for syncopation got into Appalachian fiddle tunes quite early on is obvious, as is the fact that African Americans absorbed the basic melodic sense of Anglo-Scots folksong. I also believe that the archaic system of harmony used in Shape Note singing contributed to the development of African American gospel music and jazz. This record celebrates both the stylistic diversity and underlying continuity of our music. These standards of the Irish traditional repertoire bear the names of two officers of the Chicago Police force during the early 20th century. I learned both tunes from Pat Kilbride. I added a bass line, a B section, and a jazz style solo, but what’s most memorable is surely the beautiful melody, from one of the masters of Malian music, Salif Keita. Scott Joplin’s earliest and greatest success. The Maple Leaf was published in 1899 and launched the ragtime craze that swept America and, eventually, the globe. My version is based on the way Buck Evans used to play it. Surely our best waltz, “Midnight on the Water,” comes from the playing of Texas fiddler Benny Thomason and was composed by his father and uncle. “Peacock Rag” is another non-traditional tune, written by Fiddlin’ Arthur Smith, one of the early stars of the Grand Ol’ Opry. The King of Western Swing, Bob Wills, wanted to record a positive song about turning 40, but quickly realized there weren’t any around! So he commissioned Cindy Walker (who later contributed such C&W classics as “You Don’t Know Me”) to write this winner. This little-known spiritual seems to be based on a well known shape note hymn “Parting Friends,” which was originally published in .. in 1855. Like his long-time boss Louis Armstrong, Jack Teagarden was one of the very few jazz luminaries who excelled at both singing and playing an instrument. This native son of Vernon, Texas was one of the most important trombonists of the pre-war era. One of Thelonious Monk’s most popular and engaging tunes, guitarists have been covering “Blue Monk” for a long time. Although Monk was an extremely advanced musical thinker, his conception was as firmly rooted in blues and gospel as Bartok’s was in Hungarian folk music. This ragtime era song was composed by Kerry Mills but somehow passed into the repertoire of old-timey fiddlers (and eventually even Scottish accordionists). Doc Watson then converted it to a flatpicking number, and I thought I’d turn his version back into a ragtime tune. This original is dedicated to my daughter, Saana. Sometimes it’s nice to play jazz ballads like this straight, with no improvisation. This is loosely based on “Texas Hambone Blues,” which was sung by Milton Brown, one of the giants of Western Swing music, but includes floating verses from a half dozen sources. I learned this Scottish march from the playing of Art Rosenbaum, who plays a great version on 5-string banjo. It is one of about 600 pieces composed by J. Scott Skinner, a dominant figure in Scottish music in the late 19th and early 20th century. Like many of the best-known spirituals, this one was popularized by the Fisk Jubilee Singers during their international tours during the 1870’s. 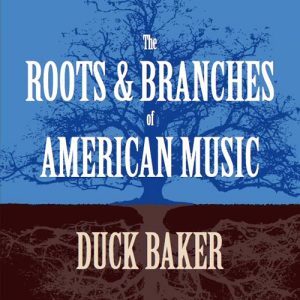 There’s no way to know how much of the Singers’ harmony was folk-based and how much they worked out themselves, but one thing is certain; the impact of this group’s work on the course of American music can hardly be overestimated. The first of these tunes was the title track of an excellent LP devoted to Kentucky fiddling. It appears to be descended from an old English music hall song. “Buffalo Gals” is one of the best known American folk songs, and one of the few whose melodic character traces back to France or perhaps Germany. This is one of a handful of tunes composed by Mother Ann Lee (1736-84), one of the founders of the religious community we call the Shakers, who are remembered primarily for their advocacy of celibacy. We should not forget that they were also great champions of social equality and democracy; no doubt the latter interests rather than the former led to their persecution and, ultimately, immigration from England.